Straight outta whiskey! No Irish lad should ever run out of whiskey on St. Patty's Day. 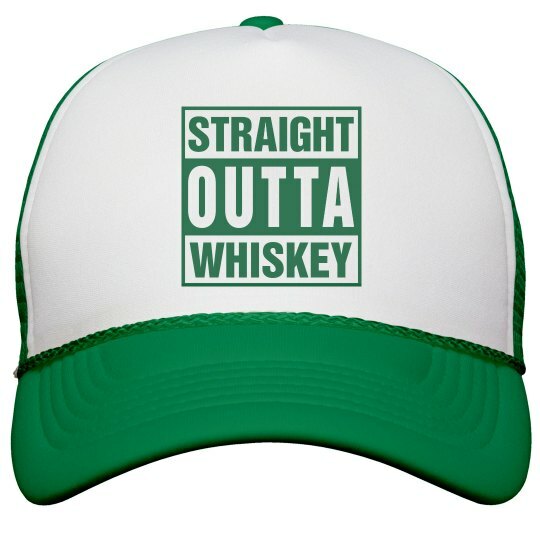 Wear this funny trucker hat to your pub crawl and make sure you don't go thirsty. Pour me some car bombs!